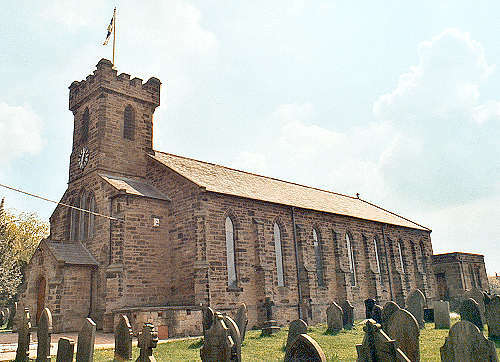 Emmanuel church was consecrated on 25 October 1842 by the Bishop of St. Asaph, to serve the Bistre and Argoed townships of the parish of Mold. The church is quite unusual in that it lies north and south, with the altar at the southern end. The new parish of Bistre was created on 23 May 1844, by combining most of the township of Bistre with part of the township of Argoed.